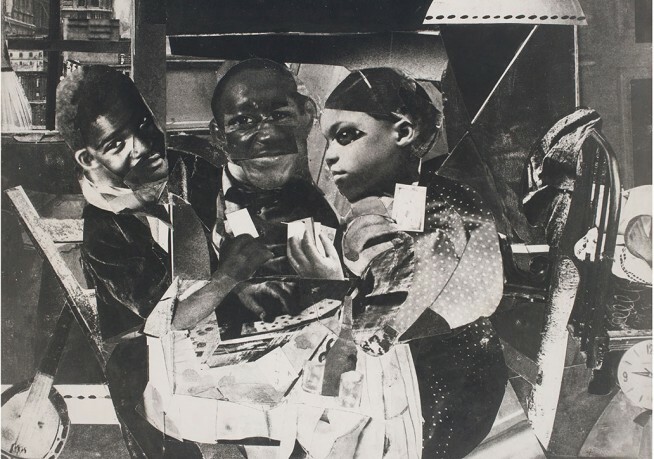 Project Gallery: Romare Bearden features a series of Photostats produced by the artist in the 1960s. Bearden created approximately two dozen small collages, which he subsequently converted into large works on paper using a Photostat machine—the precursor of the Xerox copier. The imagery comprises some of the first experimental, artistic representations of black popular culture from an African-American perspective. Recognized as one of the most prolific visual artists of the 20th century, Romare Bearden (b. 1911, Charlotte; d. 1988, New York) has had a number of solo exhibitions dedicated to his work, including Romare Bearden: A Black Odyssey, organized by the Smithsonian Institution Traveling Exhibition Service. The exhibition debuted at the Reynold House Museum of American Art, Winston-Salem, NC in 2012 before continuing on a seven-city national tour through 2014.